This post was written by NYSSPE Executive Director Anthony Fasano, P.E. 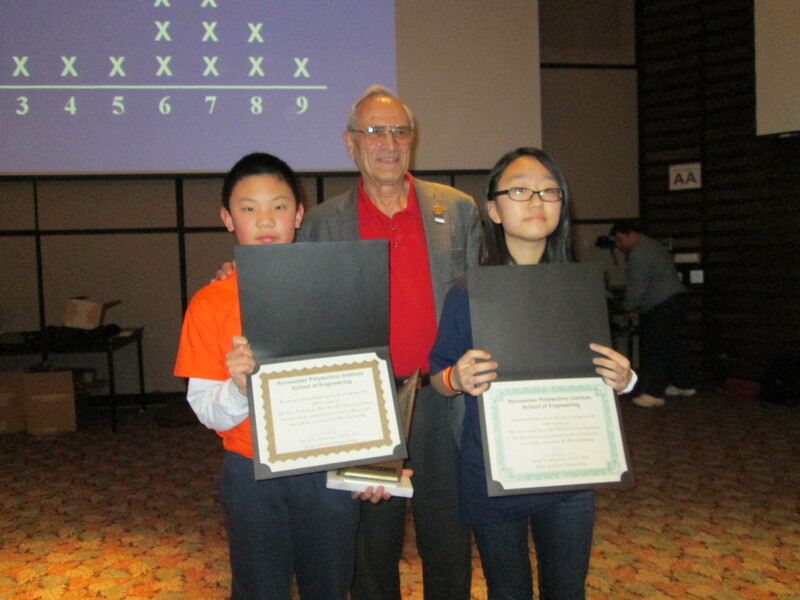 This past weekend I had the pleasure of attending the 2013 New York State Mathcounts Competition at Rensselaer Polytechnic Institute (RPI). My goal was to help our volunteer members to successfully run the event, which they did. For those of you not familiar with MATHCOUNTS, it is a national middle school coaching and competitive mathematics program that promotes mathematics achievement through a series of fun and engaging “bee” style contests. The program exists in all 50 states plus U.S. territories and the Department of Defense and State Department schools. We had volunteers from both our Capital Region and Suffolk Long Island Chapters running (and scoring) the actual competition. The day started with 8 rounds of testing in the school cafeteria, consisting of both individual and team rounds. 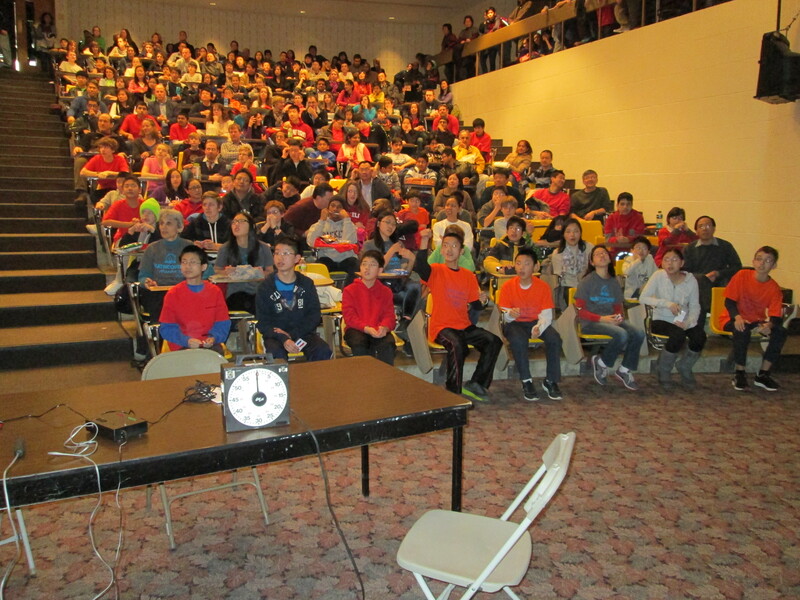 The day culminated in an exciting version of MATHCOUNTS Jeopardy aka the Countdown Round, which showcased the top 12 individual performers from the earlier rounds facing off through a single elimination tournament. The winner of the Jeopardy or Countdown round was Serina Hu of Hunter College High School. What was really amazing to me was seeing both the determination of these children during these testing rounds and the joy on the faces of the children that won different parts of the competition. As an engineer myself, who understands that peer pressure discourages many students from showing excitement in STEM, this competition was a promising experience. The look on many of those kid’s faces certainly gave it a Christmas morning like feel. Congratulations to all the winners at the New York State MATHCOUNTS Competition and the volunteers who made it all possible for another year. 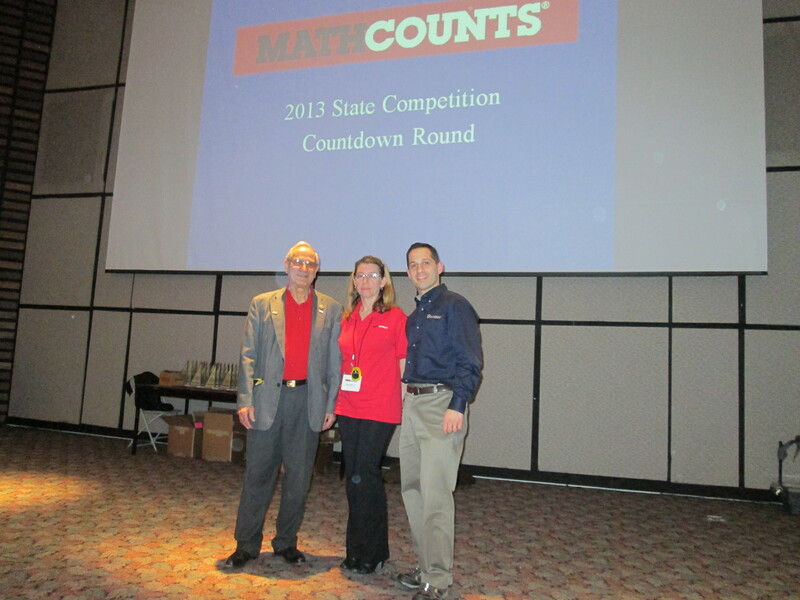 Click here for 2013 New York State MATHCOUNTS results. Pictured Above: Donald Aulenbach, P.E., Laura Pellizzi,P.E., Anthony Fasano, P.E.